As part of the House Vision exhibition, organized by Muji art director Kenya Hara in 2013, architect Shigeru Ban was tasked with designing a housing prototype that relies on furniture to provide structure. The interior is a spatially open layout with a flexible DIY storage system that supports the ceiling. Load-bearing elements are clustered together in the form of storage instead of a typical post-and-beam format. House of Furniture’s exterior, designed by Ban in collaboration with Muji, looks more like a pavilion than a box. In 2013, Ban’s office introduced its new housing prototype, the New Temporary House, whose exterior is made of insulated sandwich panels and fiber- reinforced plastic. After the 6.3-magnitude earthquake in Christchurch, New Zealand, in February of 2011, Ban was asked to design a replacement cathedral for the city. The proportions and floorplan mimic those of the prior landmark, though the new, temporary structure is built of paper tube modules. 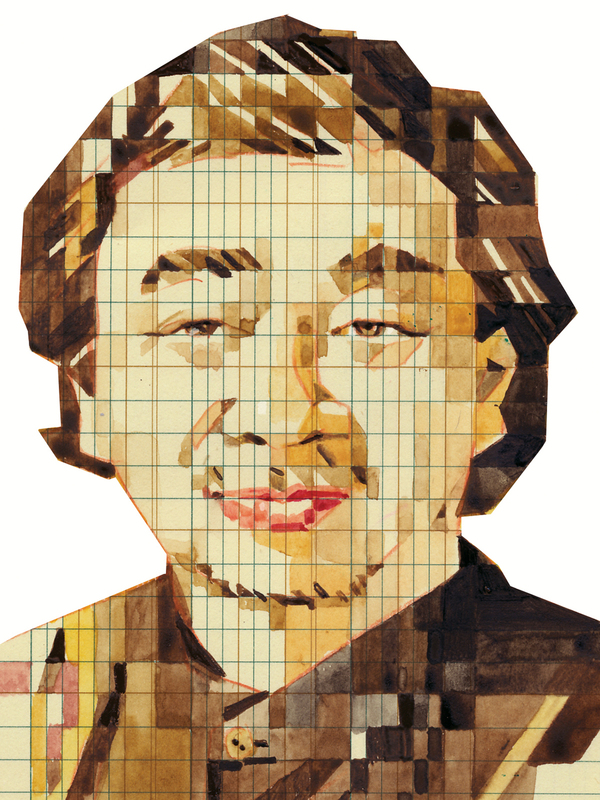 Whether he’s drawing up world-class public architecture, like France’s Centre Pompidou–Metz, or temporary disaster housing ingeniously constructed from cardboard tubes and beer crates, architect Shigeru Ban never loses his focus on innovative, logical design. “I don’t take a different approach depending on the project I’m working on,” says Ban, who has offices in Tokyo, Paris, and New York. He has recently been working on prefab housing, lowering costs and eliminating wasted space by using factory-made storage units (in his parlance, furniture) as structural support. The Japanese brand Muji will begin selling his kit house in 2014. How did you come up with the idea for the prefab “furniture” house? The project is the realization of a dream I’ve had for many years. In the Hanshin-Awaji earthquake, in 1995, many people were injured or killed by the furniture. On the other hand, some people were saved by sheltering under it. At the time, I realized how strong cabinets could be and wondered if even without posts or [bearing] walls it would be enough just to have these furniture units as structural elements. Then we did the structural calculations and found that to be true, so I did the first project, in 1995, the Furniture House 1. Why did you decide to collaborate with Muji on your latest iteration? Actually, when I designed that first house, I thought it was really Muji-like. Muji uses good materials and, rather than having a lot of variety, they have simple design. Other makers try to respond to a whole range of consumer demands: Western, Japanese, a mix of the two. What I was thinking here was to make something where people can realize a simple life. Kenya Hara, Muji’s artistic director, describes the company’s products as a neutral background for people to fill with their own creativity. What do you think of that concept? My House of Furniture is exactly [that]. I’m not creating a house, I’m just creating space. Like Muji products, there are no decorations but good materials and functional design. You’ve said that carpenters are almost unnecessary to assemble the factory-made, preinsulated modules. I can see how that saves time and money. But is it positive for society to be moving away from craftsmanship and handmade living spaces? I think that’s a very good point. My system is just one of many. In Japan, our craftsmanship still remains [strong]. I don’t think that kind of architecture will ever die here. But those [houses] are not affordable for the general public. We need affordable housing, not only for Japan but also for developing countries. You recently exhibited an attractive new temporary house for disaster victims. If it’s destined to be de-stroyed in a few months or years, why bother with good design? I’ve spent a lot of time in emergency shelters. I understand the argument that [a disaster] is not the place or time to think about design, but I think that’s exactly what is necessary. The government tells people to endure their situation. They’re not thinking about human rights at all. That’s why I think we need to do better with emergency shelters and temporary houses.